Donna Ryall was successfully prosecuted by the Test Valley Borough Council following her dumping of multiple items including a handbag, waste and waste. Environmental portfolio holder, councillor Graham Stallard, said: “Everyone needs to dispose of their rubbish responsibly. It is the environment that you live in that is being tarnished by this irresponsible and selfish crime. 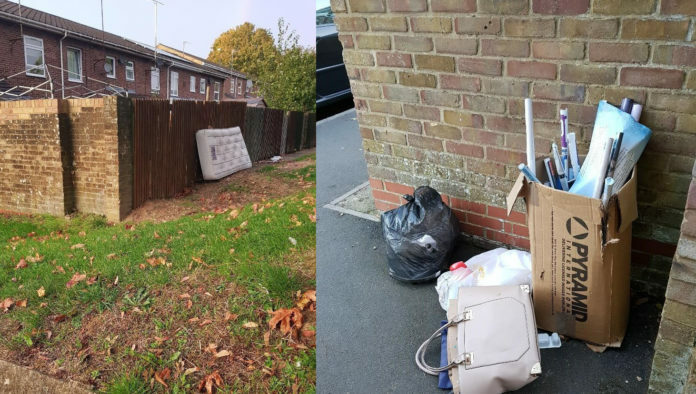 “There are many waste disposal areas and recycling centres around the borough and there really is no excuse. Anyone who needs to get rid of large items can contact the council for either advice or our services.